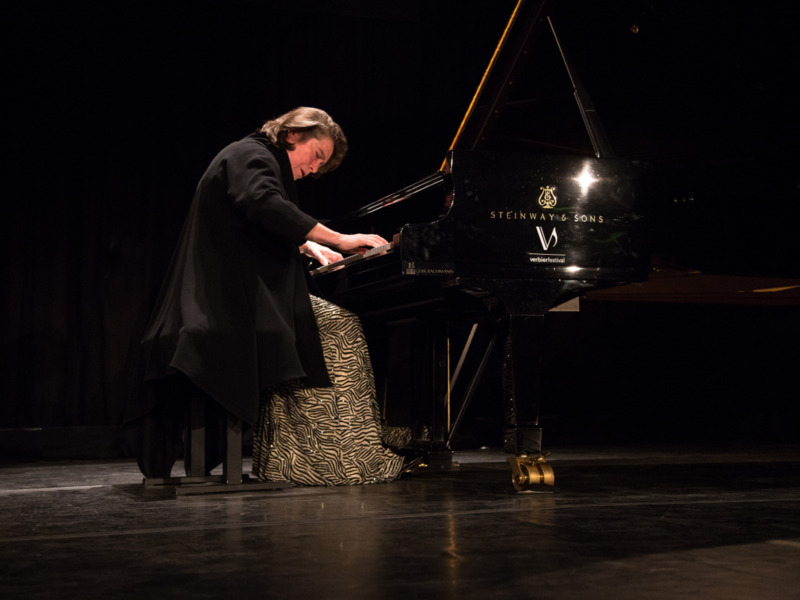 Pianist Magazine's Peter Quantrill visits Switzerland to report on a Beethoven sonata trilogy of sovereign authority. 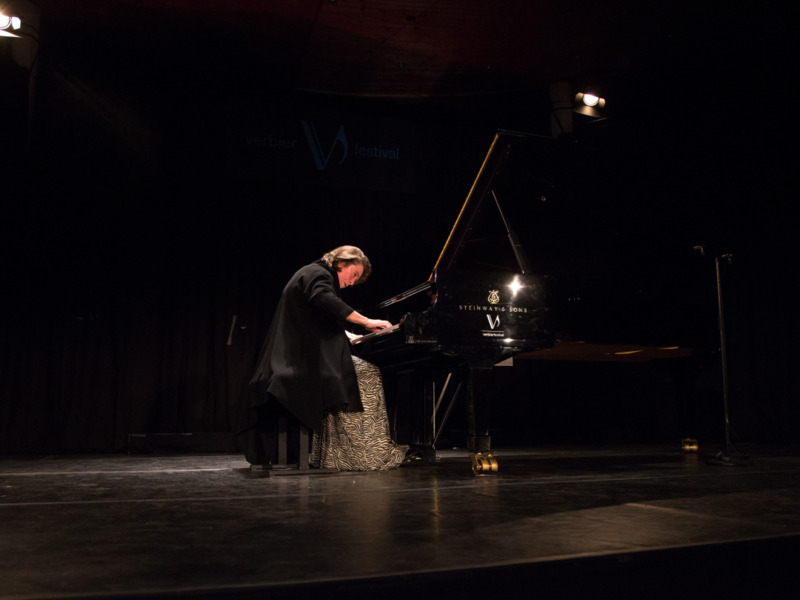 Elisabeth Leonskaja has had a busy time of it in Verbier this week. Having rescued a programme of chamber music at the last minute by stepping in for a mysteriously, perenially and abruptly absent Martha Argerich, the veteran Russian-Austrian pianist had the stage of the Eglise to herself last night for the last three sonatas of Beethoven. This was Beethoven steeped in decades of thought and experience, to be sure, but from the gentle opening gambit of Op 109 it was emphatically not ‘old’ Beethoven, if that implies lugubriousness or gruelling profundity. One of her closest musical partnerships of decades gone by was with Sviatoslav Richter, but it was the less monumental strain of Russian Beethoven embodied by Emil Gilels that came to mind in Leonskaja’s calm unfolding of the finale’s variations: nothing was too much. Yes, in decades gone by there may have been a few less sunspots, missed notes in the course of powerfully weighted scale passages and runs, but at close quarters such as the venue of the Eglise affords, it was fascinating to observe a flicker of dissatisfaction pass across her face at such moments while her hands and her body moved on: an object lesson in concentration. 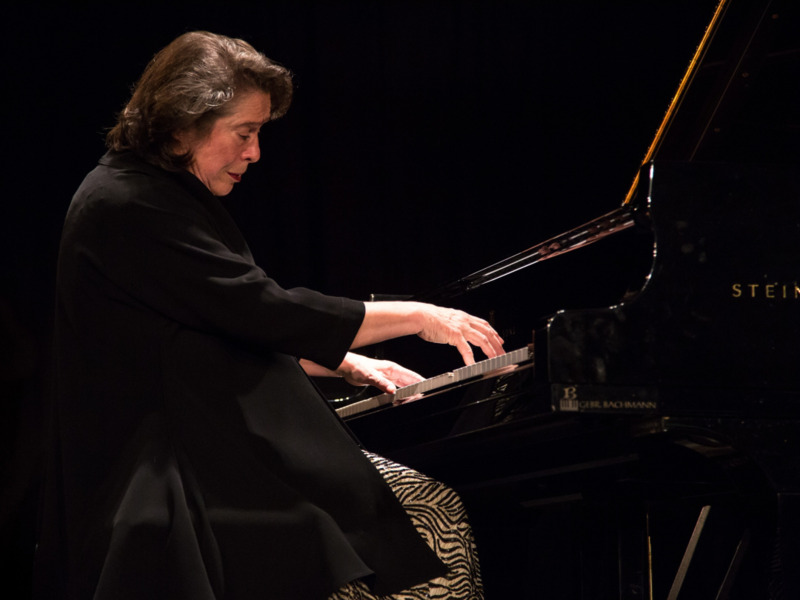 You can watch Leonskaja’s 2012 recital from the Verbier Festival here. Playing the trilogy of sonatas through with scarcely a minute’s break between them motivated the most fruitful sense of continuity between them: Op 110 opened in the spirit of measured, hard-won simplicity which had been achieved through the course of Op 109. Likewise, the vaulting architecture of the C minor Sonata Op 111 was built from the titanic energy generated during the closing fugue of Op 110. Everything was connected. In a technical sense this was true not least thanks to Leonskaja’s liberal use of pedal, which in the hands and feet of lesser and younger pianists would have drowned Beethoven under a tide of tone. This is her secret, however, and it remains so: how fully she brought early-19th-century Viennese style to life with vividly sprung, wholly idiomatic colours, so that even at his most radical and exploratory Beethoven never sounded outside of his time but within it: not for Leonskaja any anachronistic suggestion of boogie-woogie in the Arietta variations of Op 111. Indeed, the recital as a whole had made a surely plotted journey from the kind of lightness of spirit that Schubert would inhabit, back to a Beethoven of immense strength and certain vision. The Arietta was played as a house of many rooms, generously opening doors on children’s games and solitary contemplation, but also a playful sublimity between them – this too being a quality that Gilels would have recognised and appreciated. 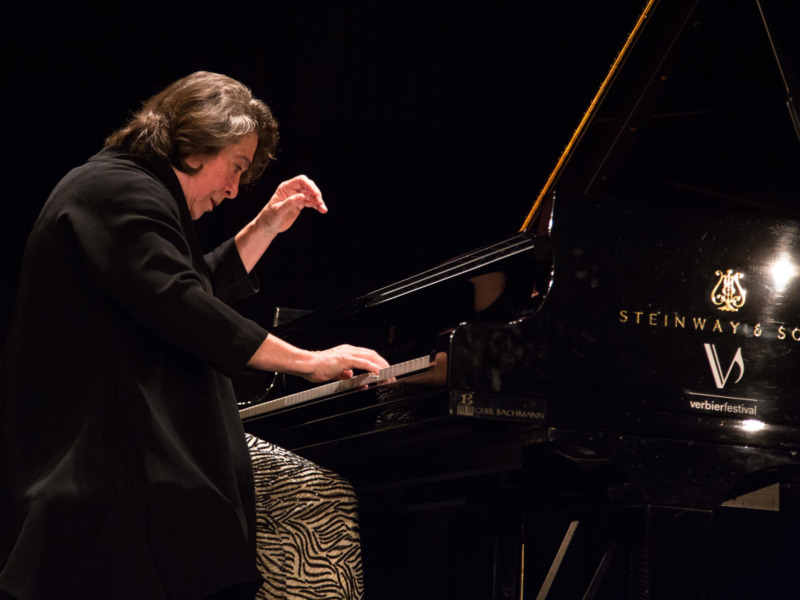 By now the bass of the festival’s superbly conditioned Steinway was rolling around the walls of the Eglise in waves that lapped on the shore of the sonata cycle’s final point of rest, dissolution and arrival. An unforgettable evening. Medici.tv broadcasts daily concerts from this year’s festival. Browse the index here.